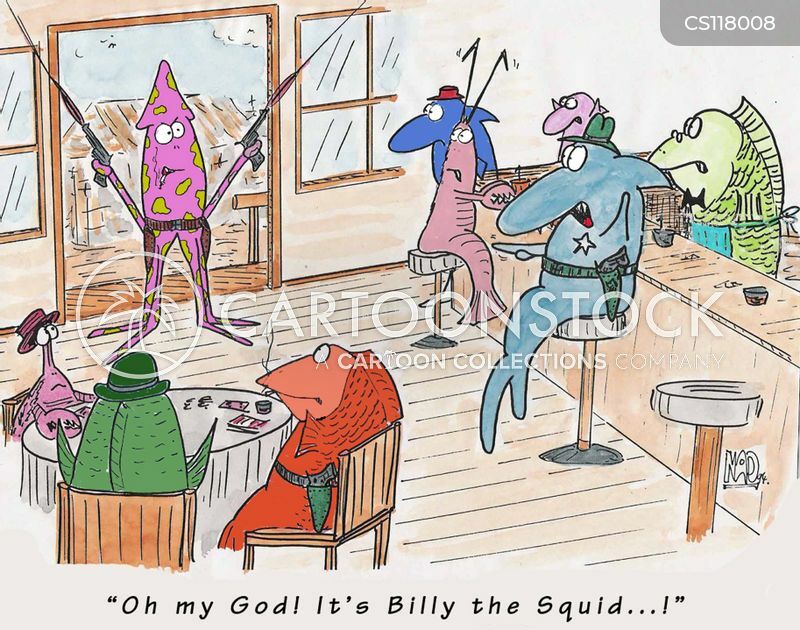 "You tetched? 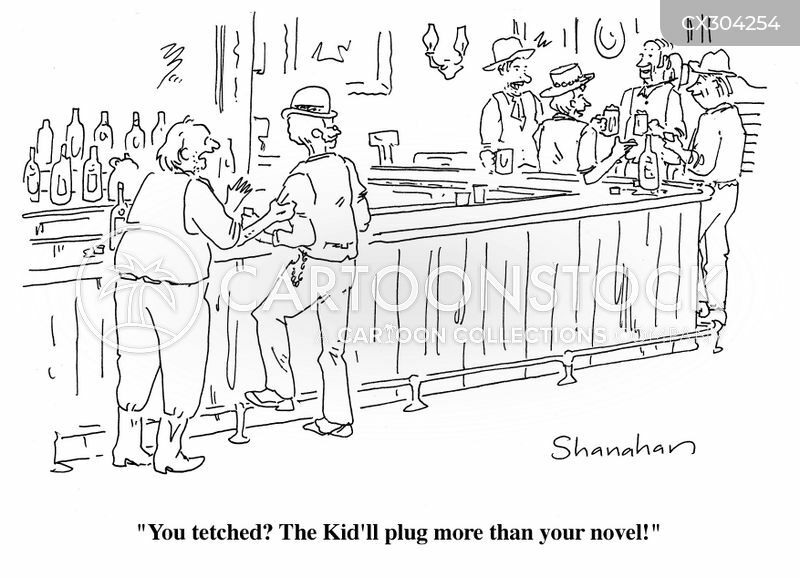 The Kid'll plug more than your novel!" 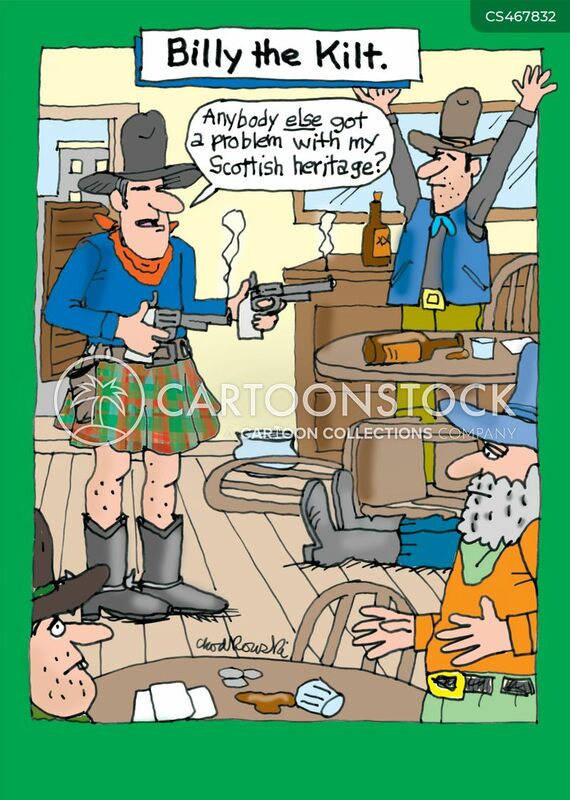 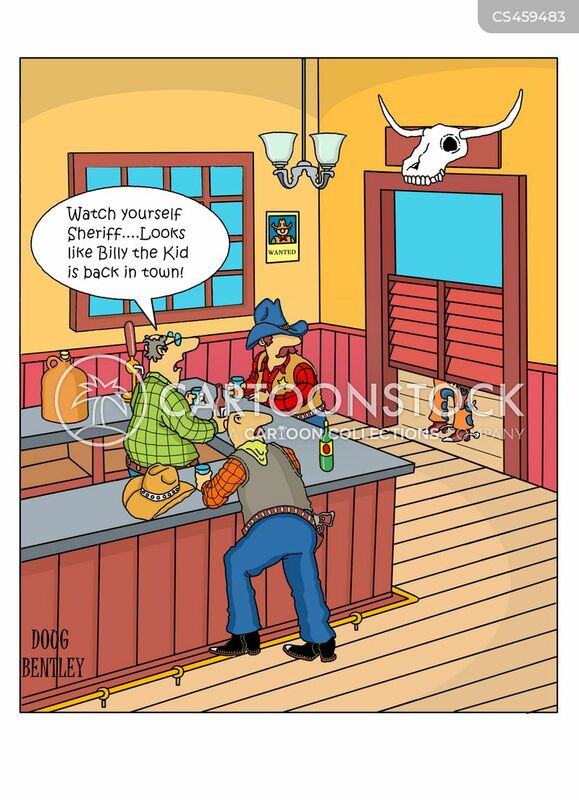 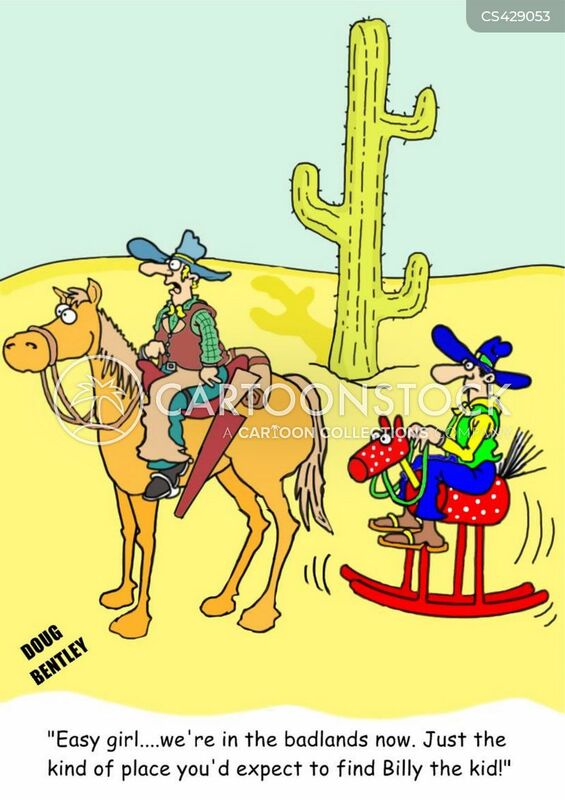 "Watch yourself Sheriff....Looks like Billy the Kid is back in town!" 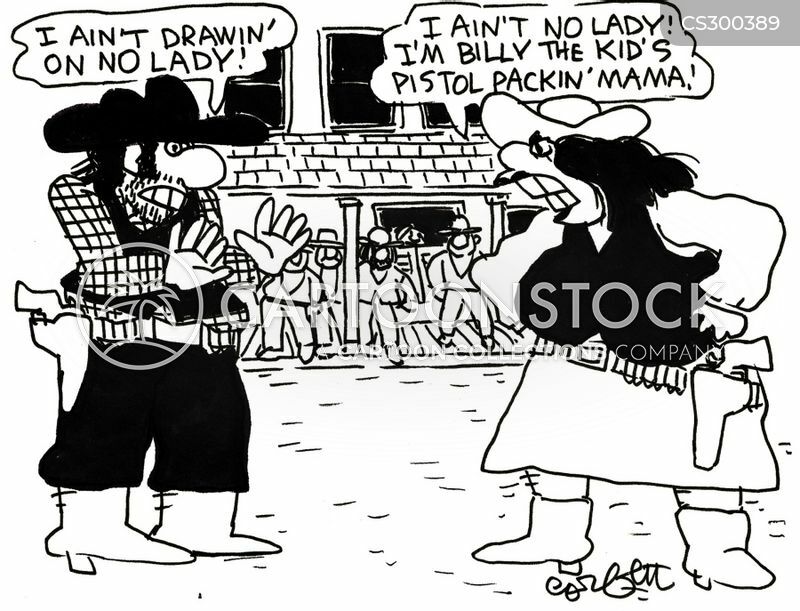 "Easy girl...we're in the badlands now. 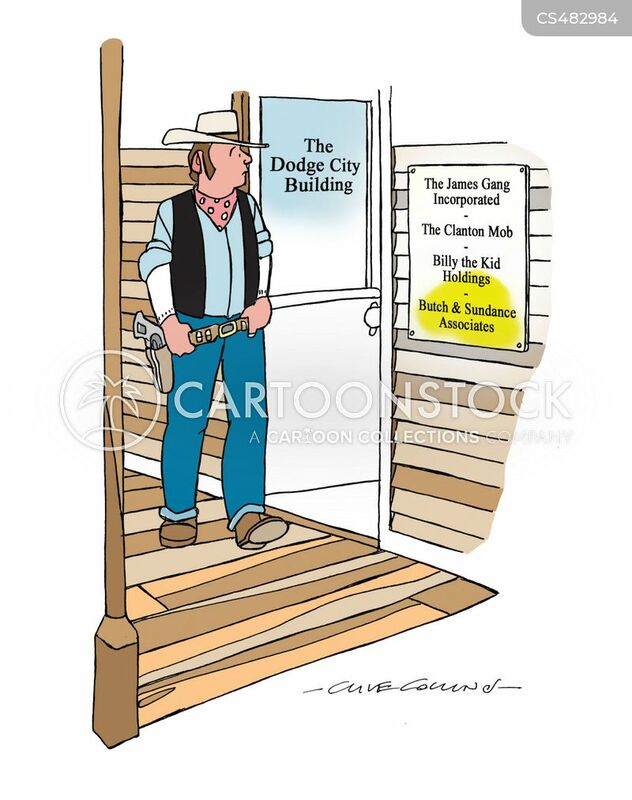 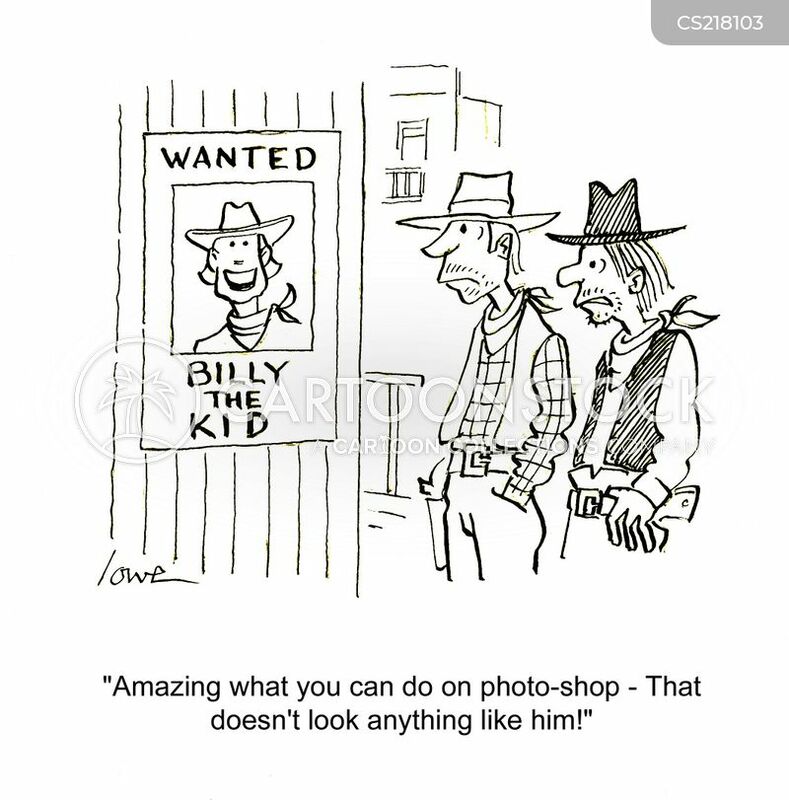 Just the kind of place you'd expect to find Billy the kid!" 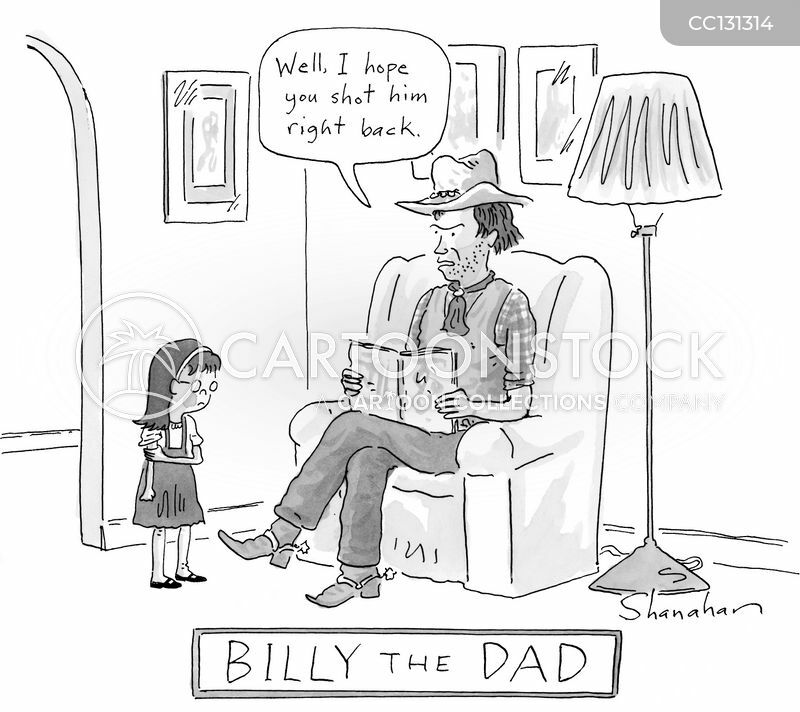 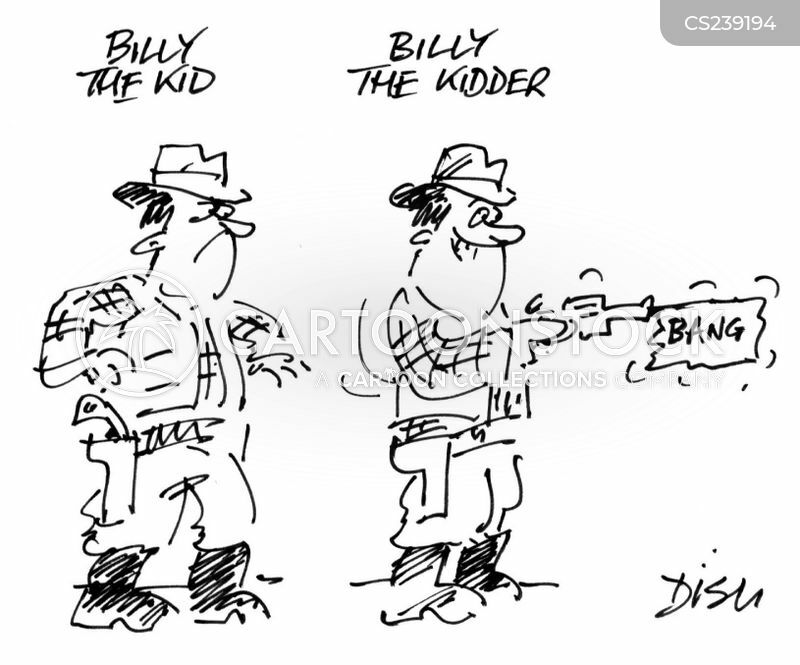 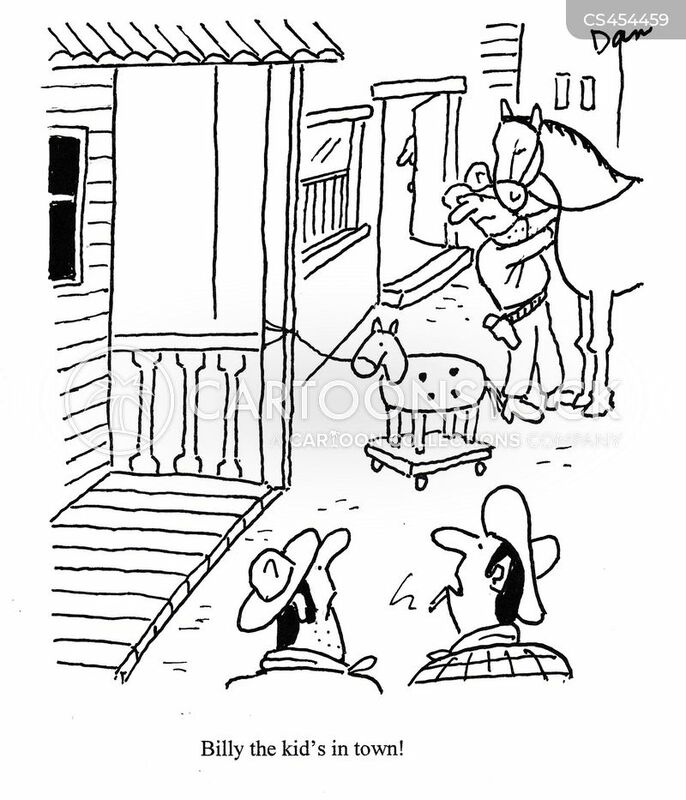 "Billy the Kid's in town!" 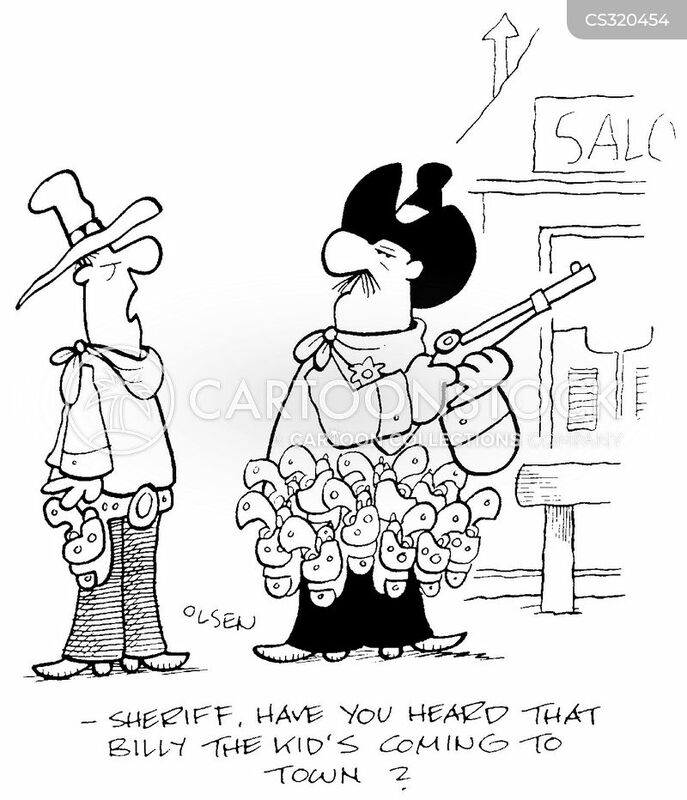 "Sheriff, have you heard that Billy the Kid and his gang are coming to town?" 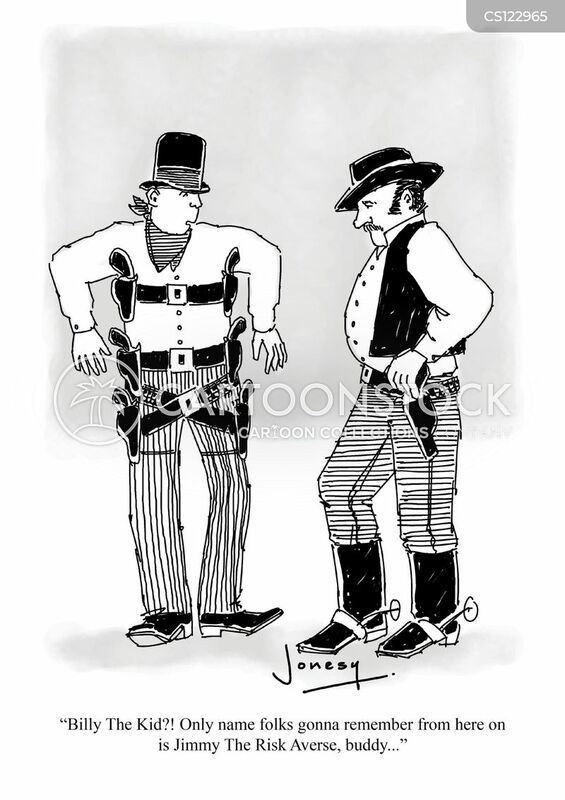 "Sheriff, Have you heard that Billy the Kid's coming to town?"